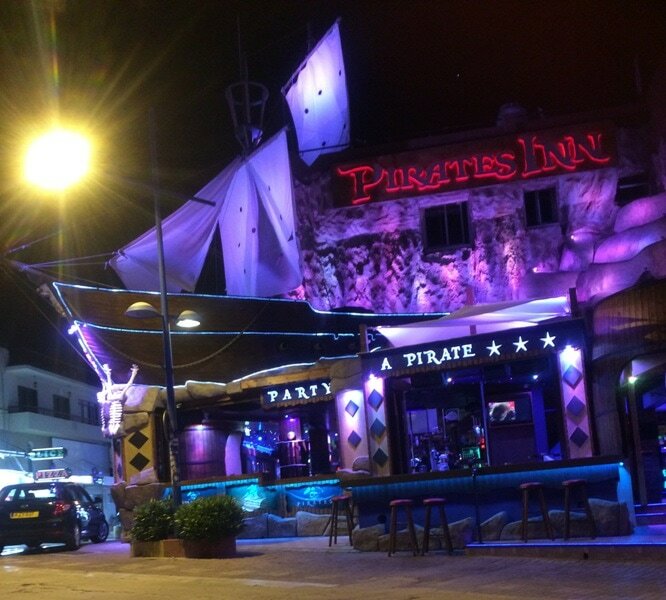 Pirates Inn is located in the centre of Ayia Napa on a busy junction where crowds spill out of several bars into the streets, making this a party hotspot. 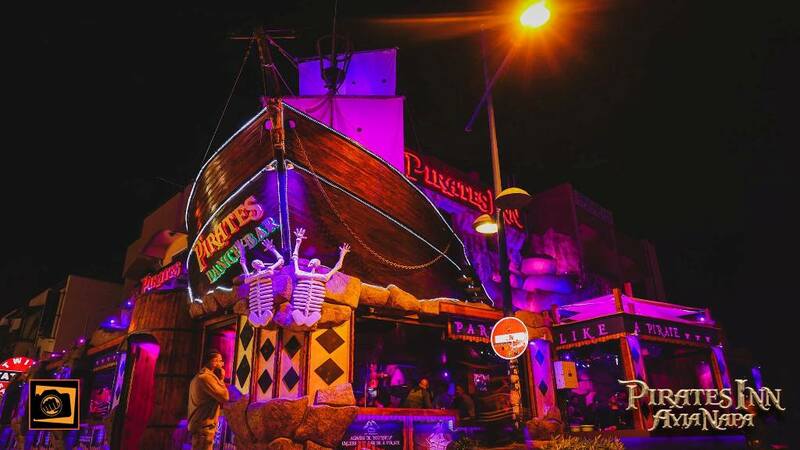 Pirates is open from March through to October and the doors are open from around 8pm every night until the early hours of the morning. Pirates plays the latest floorfillers and club tunes and encourages dancing on bars, platforms and poles. 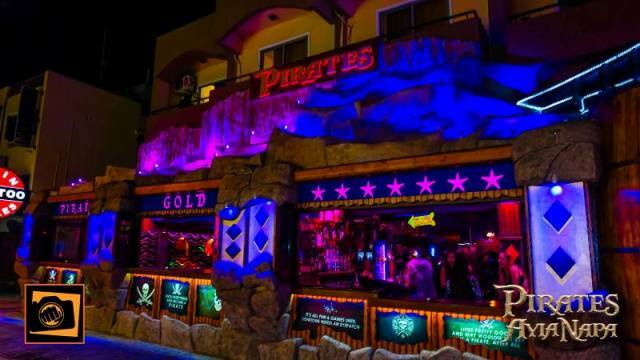 The closest hotels to the Pirates Inn are Panmarie, Myriama and Ayia Napa Square Studios. The closest Clubs to Pirates Inn are Starskys and Castle Club. Other bars in the same are as Pirates Inn and Kahlua Bar, Encore Bar and Bedrock Inn.